Russia has not seen a protest of this size since 2012 or earlier: On March 26, tens of thousands of people went out into the streets to show their indignation at government corruption. Some 1,500 were detained and dozens prosecuted as a result. 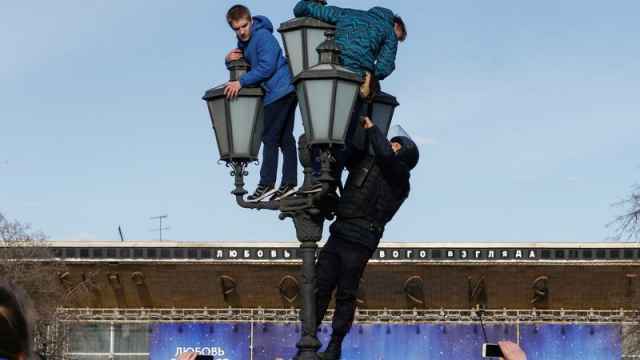 Unusually for Russia, protestors in more than 80 cities took part in the events. March 26 caught everyone by surprise because many in Russia, burned by previous attempts at getting their message of discontent across, seemed to have taken a stoic view of their officials’ ways. Fear was thought to be a major factor, too: legislation enacted since the latest wave of popular unrest made participation in “unsanctioned protest” very costly. And yet tens of thousands of people showed up. Even more surprising was the fact that the Sunday outburst was triggered by, of all things, a documentary. Oblivious to Russia’s seeming protest fatigue, an activist group called the Anti-Corruption Foundation worked for more than a year to piece together evidence that Dmitry Medvedev, Russia’s prime minister and former president, has had many luxurious properties and high-end goods put at his disposal by rich businessmen. The residencies, vineyards, farm, and yacht detailed in the film belong, on paper, to other people or charity foundations supported by large donations. Medvedev, the film argues, uses the properties on a regular basis. Alexei Navalny, the leader of the group and an activist politician who built his reputation on exposing high-level corruption in Russia, published his now famous documentary in early March. As of this writing the number of users who have opened the video on YouTube is approaching 16 million. The video’s reach matches Russian state-run television’s most successful productions and is by far the Anti-Corruption Foundation’s most successful piece of investigative reporting to date. It was not obvious that the film would attract much interest, let alone cause people to take to the streets. Even some Navalny supporters thought originally that the film’s power to rattle the public was limited. 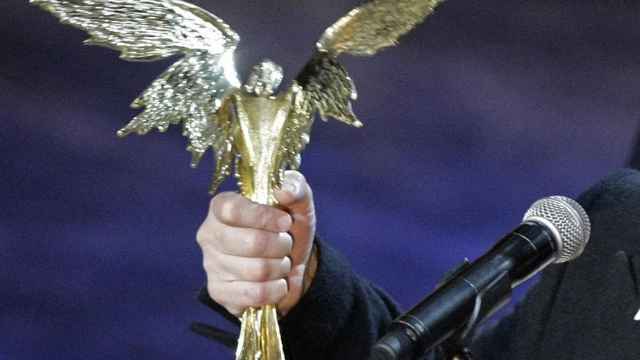 Prior to the film Medvedev was hardly public enemy number one (some even accused Navalny of serving an anti-liberal agenda because the hard-liners in the Kremlin normally hate Medvedev). Russians are used to tales of corruption, and links between the properties and the person of the prime minister are elusive. Evidence of Medvedev’s regular use of the residences, if proven, would probably amount to multiple conflicts of interest: at least one of the properties’ owners is a top manager at a large bank whose business might benefit from the prime minister’s decisions. And in Russia a conflict of interest is not a shocker. Much has been made by the Russian chattering classes about the fact that Medvedev was the wrong target. And he should not worry anyway: President Vladimir Putin has always made a point of resisting public pressure. An exposure by activists has served many officials and governors as a writ of protection of sorts: if Navalny is attacking you, Putin will defend you, at least for as long as your story is in the public eye. No angry tweets emanated from behind the Kremlin wall immediately after March 26, a Sunday. Putin took his customary pause. It was on Thursday, during a trip Putin made together with Medvedev to an international conference on the Arctic, that the Russian president finally mentioned the events that had taken place four days before. “I personally do believe that the issues of fighting corruption should be placed squarely in the center of public attention,” Putin said. “But here is what I think is wrong: It is when some political forces are trying to use, in their vested interest, this instrument [that is, exposing corruption—editor] not to improve the situation in the country but to advance one’s standing in the political arena in the run-up to an election.” This is perplexing because politicians are generally expected to promote their agendas, bringing up subjects that are deemed important to the population. 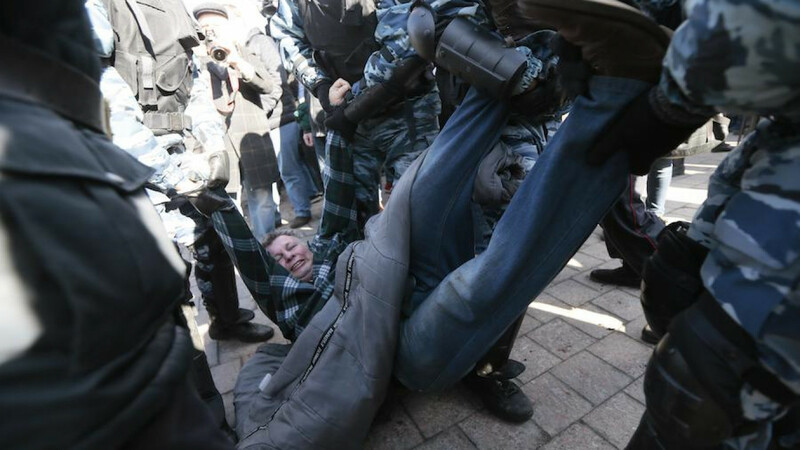 Putin also pointed out that other countries’ appeals to Russia regarding the police response to Sunday’s protests would be “considered politicized and aimed at exerting pressure [on Russia].” Putin’s comments are always seen as policy directives, which means we will see more prosecutions. Protesters of all kinds will be demonized, prompting the investigators and the courts to treat them as dangerous criminals. Navalny announced the March 26 demonstrations because he sensed an opening: His video had become an unexpected hit. The finer details of who actually owned what were lost on most viewers, who were outraged at the mere sight of huge estates and Tuscany vineyards placed at the disposal of a high-ranking official while they were counting pennies. The Sunday protest proved that the protest fatigue was exaggerated and high-level corruption was not really a worn-out subject. A more fundamental takeaway from Sunday’s events is that the rift between the elites and the masses in Russia is as real today as it was six or 26 years ago. Neither the annexation of Crimea, nor symbolic gestures aimed at exciting nationalistic pride have been able to bridge it. Even draconian legislation did not work. Regardless of what people say when they are polled about their general support of the government’s policies and Putin as a president, they are deeply conscious of the gulf between their own condition and the ways of their superiors. And, of course, there is a younger generation that has not yet learned to ignore the unaccountability of the ruling class as a natural phenomenon. Young people showed up in droves, and that frightened both pro- and anti-Kremlin forces: no one really knows what 18-year-olds mean when they support an anticorruption movement. Nothing has fundamentally changed in Russia in an institutional sense: outside the Kremlin-controlled universe there are no political vehicles, such as parties or organizations, for people to use when they feel strongly about something. Whenever a unifying theme arises people will take to the streets and protest because there is simply no other way to send a message to the authorities. This makes Russia a zone of constant seismic hazard. 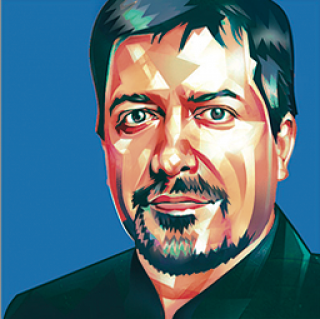 Maxim Trudolyubov is a senior fellow with the Kennan Institute. This Op-Ed originally appeared on The Russian File: a Kennan Institute Blog. The Moscow Times looks back at eight of the most creative political protests to hit Russia’s streets in the past decade. Of 10 regions with the highest protest turnout last Sunday, nine had below average voter turnout last year. 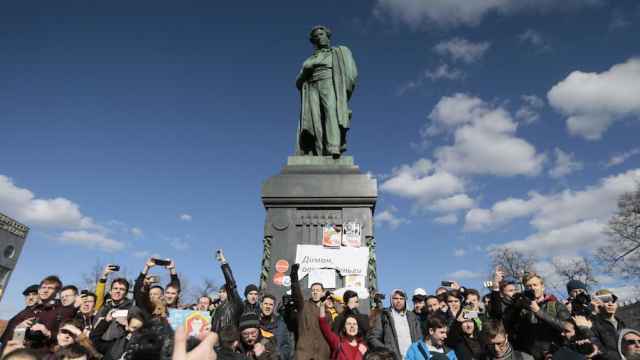 Russia's beloved poet Alexander Pushkin is caught in a political battle in Moscow. Apparently he's innocent.